Experience the best of incredible Cambodia tours in a week. Explore the sights of Phnom Penh before taking a short flight to Siem Reap to discover the captivating Angkorian Temples. Today we’ll enjoy a full day sightseeing tour of Phnom Penh starting at the National Museum of Fine Arts, housing the world’s finest collection of Khmer sculpture. We continue with the Royal Palace and Silver Pagoda, famed for its lavish decorations – the floors are paved with silver tiles and statues of Buddha are encrusted with thousands of diamonds.We later come face to face with the horrors of the Pol Pot regime as we visit Toul Sleng (Security Prison - S21), a school that was gruesomely transformed into a torture chamber under the Khmer Rouge and visit the Killing Fields where over 10,000 people were executed. Overnight in Phnom Penh. This morning we fly to Siem Reap. Upon arrival, we will start the Angkor National Museum where you are presented the Khmer civilization. This archaeological museum is dedicated to the preservation and presentation of Angkorian artefacts found locally dating from the 9th - 14th centuries. Continue to visit the mother of all temples – iconic Angkor Wat believed as the largest religious building in the world, containing thousands of wall carvings and bas-reliefs. Overnight in Siem Reap. Early this morning to see Angkor Wat bathed in the spectacular golden light of sunrise. Have a box breakfast. 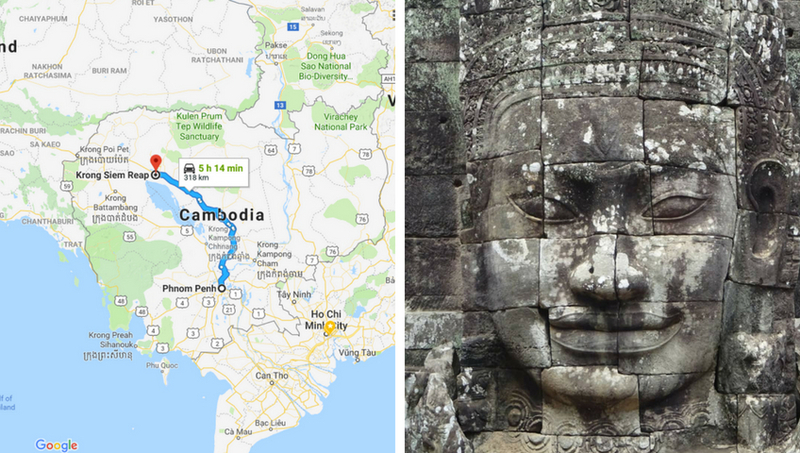 Later, drive out to see the well-preserved temples of Banteay Srei, stopping at an exotic butterfly sanctuary and the village of Preak Dak where we support a community tree planting initiative along the way. After returning to the Angkor Temple Complex to explore the ancient city of Angkor Thom. The last capital of the Great Khmer Empire, it is home to the fascinating Bayon Temple, the Baphuon royal enclosure and the Terraces of the Elephants and Leper King. Continue on to Tra Prohm Temple that unlike the other temples here has been left in the same ruined state that it was first discovered in with a tangle of trees growing out of its ruins. Tonight, we are going to attend the remarkable Phare NGO circus project which teaches children living on the streets how to become circus artists. Enjoy circus tricks and their interpretations of modern life and issues in Cambodian society in this popular show. Overnight in Siem Reap. This morning, drive to Kampong Phluk, a cluster of three villages of stilt houses built within the floodplain of Tonle Sap Lake. After a boat trip on the lake we return to Siem Reap for free time. Pick up some last minutes souvenirs at the central market or head down to lively Pub Street. Overnight in Siem Reap. After breakfast and hotel check-out, an included departure transfer takes you to the airport. Tip for your tour guide. We recommend you allow US$3 - 6 per day, per traveler. For other languages, supplement charge will be applied.